Swimmer Michael Phelps is one of the greatest Olympic athletes of all time. He has won 18 gold medals in his career. That’s more than any other Olympian. Michael Phelps also won more gold medals in one Olympics, eight in 2008, than any other Olympian in history. Michael Fred Phelps was born in Baltimore, Maryland on June 30, 1985. He has two older sisters, Hilary and Whitney, who also swim. Michael had ADHD (Attention Deficit Hyperactivity Disorder) as a child. His parents got him into swimming as a way for him to burn off some energy. Plus, his sisters already liked to swim. Michael did well at swimming from the start and was breaking records by the age of 10. He was only 15 when he qualified for the 2000 Olympics. 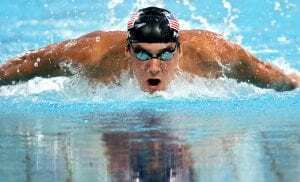 Phelps’ great swimming ability is a combination of skill, physical ability, and hard work. Many experts say that Michael’s body was designed for swimming. He has a very long torso, long arms, big feet, and short legs for his height. His long arms and feet help propel him through the water and, at the same time, his long torso and short legs help him to glide cleanly through the water. Michael also has practiced and worked out for years to get into the kind of extreme shape it takes to win so many medals at a single Olympics. 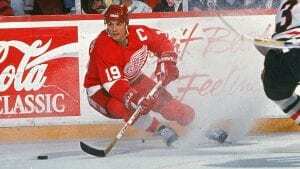 His intense focus and drive are legendary. Justin Brooks Verlander was born on February 20, 1983. He is an American professional baseball pitcher for the Houston Astros of Major League Baseball. He previously played for the Detroit Tigers for 13 seasons, with whom he made his major league debut on July 4, 2005. From Manakin-Sabot, Virginia, Verlander attended Old Dominion University and played college baseball for the Monarchs. He broke the Monarchs’ and Colonial Athletic Association‘s career records for strikeouts. At the 2003 Pan American Games, Verlander helped lead the United States national team to a silver medal. The Tigers selected him in the first round and as the second overall pick of the 2004 first-year player draft. 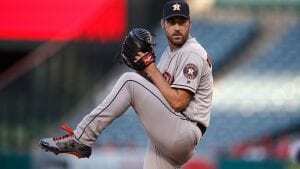 As a former ace in the Tigers’ starting rotation, he is regarded as a key figure in four consecutive American League Central division championships from 2011−2014, and in the Astros’ first World Series championship in 2017. LeBron James was born in Akron, Ohio on December 30, 1984. He grew up in Akron where he had a difficult childhood. His father was an ex-con who wasn’t there when he grew up. His family was poor and had a tough time. 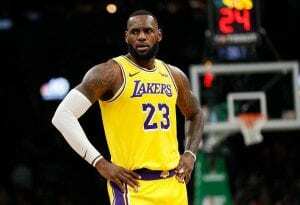 Fortunately, his basketball coach, Frankie Walker, took LeBron under his wing and let him stay with his family where he could get away from the projects and focus on school and basketball. LeBron went to high school at St. Vincent – St. Mary High School in Akron, Ohio. He led his basketball team to three state titles and was named “Mr. Basketball” in Ohio for three straight years. He decided not to go to college and went straight to the NBA where he was the number 1 pick in the 2003 NBA draft. Barry Sanders was born July 16, 1968 in Wichita, Kansas. He is known for his electric running style and ability to make razor sharp cuts on a dime. Barry is widely considered one of the greatest NFL running backs of all time and holds many records still today for his position. The NFL confirmed his elite status by inducting Sanders into the NFL Hall of Fame on August 8, 2004. Barry won the Heisman Trophy while playing football for Oklahoma State University in 1988. The Detroit Lions selected Barry with the third overall draft pick in the 1989 NFL draft. Sanders played 10 All Pro seasons in the NFL, all for the Lions, averaging over 1,500 rushing yards per season. Sanders won the NFL’s Most Valuable Player award in 1997, rushing for 2,053 yards and 11 touchdowns that year. Sanders left the game just 1,457 yards short of being first place on the list for the NFL all-time rushing record at that time. Today, Barry’s time is focused on his family, community and charitable projects, and being a top ambassador for the NFL and its partners. In 2013, Barry was featured on the cover of EA Sports Madden 25 anniversary edition, in 2 Pepsi TV ads, and in 2 Nissan TV ads – which demonstrates his continued status as a timeless icon in professional sports. Ryan Lochte is an American swimmer who has won 12 Olympic medals, including 6 gold, 3 silver and 3 bronze. Lochte started swimming early at age 5. His parents are both swim coaches and his dad was coaching him. Ryan preferred basketball and skateboarding; he did not take swimming seriously until high school, when he placed second at the Junior Olympics. He attended the University of Florida where he was named NCAA swimmer of the year twice, and broke the record in the 400 yard individual medley which had been set by Tom Dola a decade earlier. He has won gold medals in the 400 meter individual medley and 4 times( 200 meter freestyle) team event. In 2016, he helped the U.S team win gold in the men’s 4×200 freestyle. He faced off against his friend Michael Phelps in the 200 meter medley which resulted in Phelps breaking the world record that was set by Ryan Lochte in 2009. 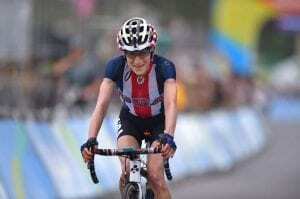 Mara Abbott is a U.S professional women’s bicycle racer from Boulder, Colorado, who rides on the Wiggle High 5 team. This is a British professional cycling team based in Belgium which competes in elite road bicycle racing and track cycling events. She took up road bicycle racing at Whitman College as a springtime activity and then from there she started competing. She won first place in 2007 in National Road Cycling Championships. She won first place in 2008 in 4 Mount Hood Classic, Krasna Lipa Tour,and Giro della Toscana. In 2010, Abbott became the first U.S. cyclist ever to win the Giro Donne, one of the Grand Tours of women’s bicycle racing in 2008. In addition, she has won first 9 times over a 2 year period. Abbott retired after the 2016 Olympic Games road race. Road cycling requires a lot of training and effort for long hours like any other sport; cycling is done in nature (roads, mountains) in both harsh and good weather. In addition to cycling, Abbott is a yoga instructor. She is a freelance writer published in the Daily Camera in Boulder, Colorado as well as the Wall Street Journal and EspnW. Loretta Claiborne is a professional runner who has competed in six special world games, winning gold in the run, the 13-mile half marathon, and singles and doubles bowling, along with silver in figure skating. She was the first Special Olympics athlete elected to the Special Olympics international Board of Directors. Claiborne competed in 6 Special Olympics World games and won gold medals in 1983,1991,1999,2003, and 2005.Claiborne was born partially blind but she was determined to achieve her goals. She has completed over 25 marathons and has placed in the top 100 women finishers of the Boston Marathon twice. Claiborne is a celebrated athlete who was honored in 1996 with ESPN’s ESPY Arthur Ashe Award for Courage. Her life is recounted in Walt Disney Productions “The Loretta Claiborne Story” and in the biography “In Her Stride”. She is also a karate black belt and continues to train in running, figure skating, soccer, skiing, golf, basketball, softball, swimming, tennis, and bowling. At age 66, Claiborne remains physically active and her focus is more on connecting and inspiring others. Roger Federer is a Swiss professional tennis player who is ranked number 7 in men’s singles tennis and has held number 1 in the Association of Tennis Professionals(ATP).His skills started blossoming at age 8 and he was well known for his technique and natural ability. His first title came in 2001 at age 19 winning the MIlan Indoors. He played in 548 matches, has won 27 Masters, 1,000 titles. His winnings were: 8 Wimbledon titles, 6 Australian Open, a record five consecutive US Open titles, and 1 French Open title. 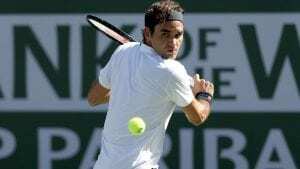 Federer is also the only individual to have won the BBC Overseas Sports Personality of the years award four times. Recently, on March 2, 2019 Roger Federer claimed victory in Dubai for his 100th tournament title; he became the second male tennis player to win the title. He is considered one of the highest-earning athletes in the world. He is endorsed by many Europeans companies. Lionel Messi is a professional soccer player who was named “ world player” of the year 5 times from 2009 to 2012, and then in 2015. Messi is from Argentina, South America. He started playing soccer at the age of 8, and by the age of 13 years old he was living in Spain. He was chosen by the prestigious football club of Barcelona (Spain) to play in FC Barcelona. 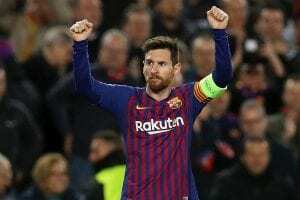 He is considered the official player and goal scorer in the Spanish La Liga (the country’s highest division of football) and in 2005, he won the Champions League title of Europe. He scored 38 goals in 51 matches during one season and broke the career scoring records for play in both the Champions League(with 72 goals) and La Liga (with 253 goals). He led Argentina to three consecutive finals: the 2014 World Cup, for which he won the Golden Ball, and the 2015 and 2016 Copas America. After announcing his international retirement in 2016, he reversed his decision and led his country to qualification for the 2018 World Cup. His main sponsor since 2006 is the sportswear company Adidas then, in 2008, he had a long-running signature collection of Adidas F50 boots, and in 2015, he became the first football player to receive his own sub-brand of Adidas boots, the Adidas Messi.